Early reviews of the new third generation iPad are starting to appear and they’re all pretty much glowing. Whether you’re still trying to figure out which model to get and where to buy one or you just want to pass the time until the FedEx truck arrives this Friday, take a peak at a handful of reviews below. …The new iPad is the most functional, usable, and beautiful tablet that any company has ever produced. If you have been holding off getting a tablet then this is the one to go for. In my view, it’s the best that money can buy. Existing iPad owners who are thinking of upgrading should take a look at this new device. You’ll see the difference very, very clearly indeed. 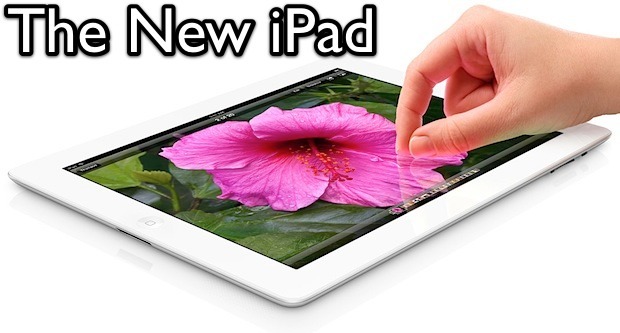 The new iPad is just that: The iPad, updated for a new year and millions of new iPad users. It’s not smaller or lighter, but it’s got a remarkable screen, a much better rear camera, and support for cellular networking that can run at Wi-Fi speeds. It’s the iPad that millions of people have embraced, only one year better. Skoro nie widać różnicy – po co przepłacać? Your reviews come to me in Mac Mail. But, I guess that you SHOULD know that already, because your intended audience is MacOS X users, yes? Then, why, oh why, can’t I see the videos in my Mail reader? All I get is a black rectangle. Today, for the first time, I learned that I could see them in a browser by clicking on “Comment on this item” under the black rectangle. Could you at least do something to link the black rectangles to browsers? That would, at least, be intuitive, though not as good as making the videos viewable in Mail itself. Thanks!